Do you ever wear the same piece of clothing for more than two seasons? …while going through my clothes. Luckily the latest FatFace campaign-New Friend’s for Old Favourites– is all about pairing clothes you bought last year with some new wardrobe additions, without looking boring or out of fashion. FatFace is about making clothes that are fashionable yet genuine, familiar yet stylish and has steeped up this season’s game with a collection of beautiful clothes that not only have pretty prints but can also be worn with previous season’s clothes- something like wardrobe recycling through the seasons, what a great idea! 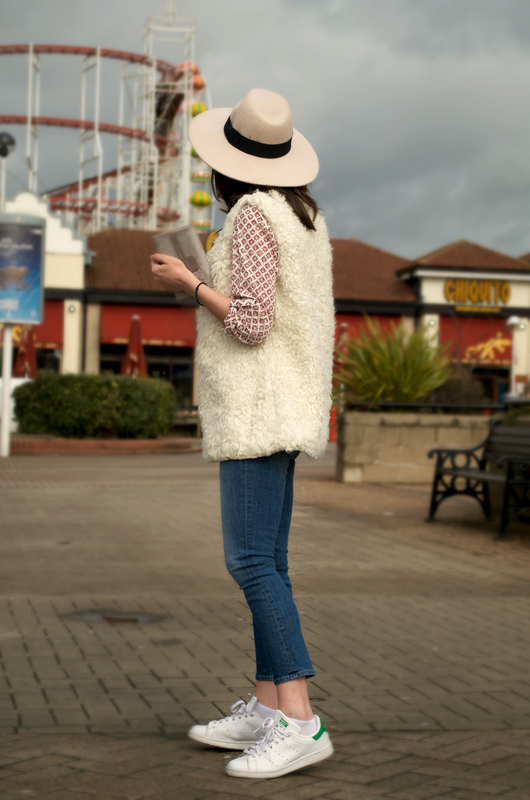 Here I am wearing the blue waterfall cardigan from the Love Blue collection that I loved last year (as seen here) with some new favourites for a casual look by the beach in Aberdeen. Waterfall cardigans are so versatile they can be paired with a dress or the classic jeans-top combo and upgrade any outfit-plus keep you warm-love them! 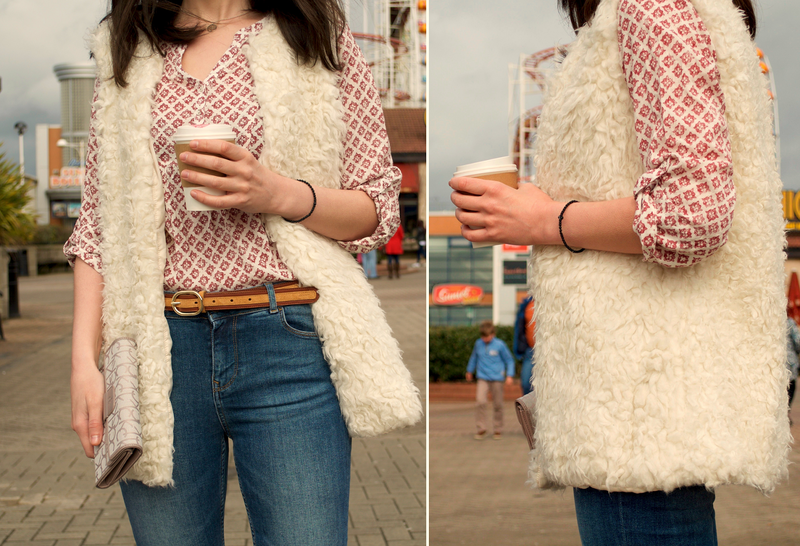 For a stroll around the amusement park I chose to wear some new favourites; the Poppy Rustic Tiles shirt and a pair of Retro Slim Capris that fit like magic! The colour of the shirt is so eye-catching just when I was having this photoshooting a lady asked me where I bought it from! For my last outfit I wore this dress from last year’s Love Blue collection with a new favourite, this Rosanne jacket that reminds me of a blue montgomery my mum bought me when I was a student at primary school-funny how clothes makes us feel nostalgic sometimes! 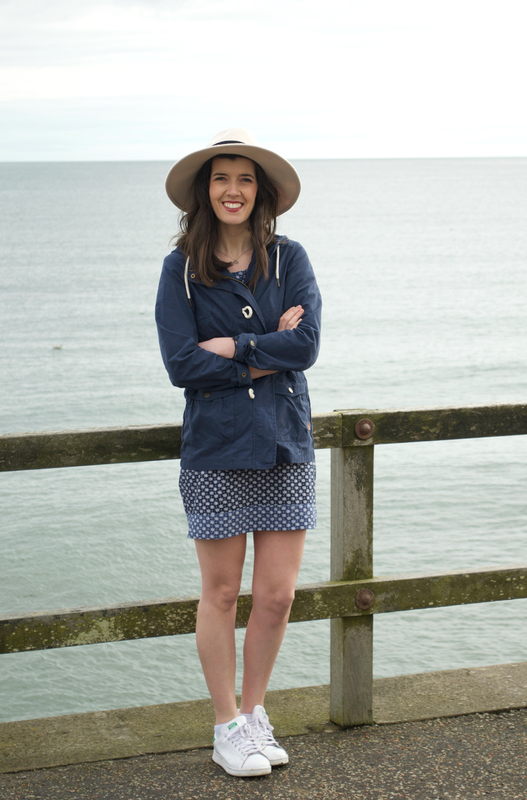 So this is my Fashion Edit report with last season and new favourite pieces from FatFace. I am thinking I could have gone a bit further and combine the capri jeans with the dress since the temperature is not quite like summer yet, but maybe next time? How do you find these kind of Style Edit posts? Shall I do more? *All pictures taken by Vasileia, thanks girl!